This is the transcript by V. S. of Richard Spencer’s Vanguard Podcast interview of Jonathan Bowden about the Frankfurt School and Cultural Marxism, released on February 16, 2012. You can listen to the podcast here . Richard Spencer: Hello, everyone, and welcome back to Vanguard! And welcome back, Jonathan Bowden, as well, my partner in thought crime! How are you, Jonathan? Jonathan Bowden: Yes, pleased to be here! RS: Well, I mentioned thought crime. That’s quite an apt term for the subject of discussion this week and that is cultural Marxism, critical theory, and the Frankfurt School. Those are, of course, three distinct things, but they’re obviously interrelated as well and I think they can be discussed as one. Jonathan, to get the discussion started I think it’d be a good idea to look at cultural Marxism historically and ask where it’s coming from and, in particular, what was the milieu like in interwar Germany where so many of these figures like Adorno and Benjamin and Horkheimer arose. JB: Yes, I think you’ve got waves of feminism, as we discussed in a previous podcast, and now you’ve got waves of Marxism or waves within waves. Marxism, when it started out of course, had a lot of cultural theory attached to it, and Marx was heavily influenced by utopian socialist theory early on in the so-called Paris Manuscripts and that sort of thing. That was all junked, and Marxism became a heavily economically-concentric discourse, very reductive economically. An alleged science, now regarded 150 years on from those events as a sort of pseudo-science. This remained in play into the early stages of the 20th century, and Marxist parties tended to replicate that at a lower sort of political level. But in and around the First World War with Gramsci’s ideas, which he wrote down in The Prison Notebooks when he was interned, a type of cultural discourse began to emerge whereby Gramsci had the idea that the superstructure and the base of society were disconnected so that things could exist at a cultural level which were not totally economically determined and couldn’t be held completely to be economically managed. Also, in order to discuss them you needed a wide field of reference. Partly this was the desire of frustrated intellectuals who wanted to use Marxism. They also wanted to discuss culture, which was their abiding source of interest, but it was also an attempt to broaden the appeal of Marxian ideas. In the ’20s and ’30s in Germany, schools of writers began to emerge that were only concerned with man and society, in John Plamenatz’s term, and were not concerned really with econometrics or economic determinism at all and were only Marxian in this newfangled way and had a heavily theoretical take on life. I remember a Marxian deconstructionist lecturer once telling me 30 years ago that the bourgeois goes to life with common sense but the Marxist with his theory. This theoretical overload whereby everything in life has to be theorized and every text that one comes across has to be subjected to critical analysis or critical theory gave rise to this school that was concerned with the examination of literary texts, with cultural anthropology, with sociology, with social psychology, with adaptations of most of the social sciences to life and were only vaguely concerned with economics. 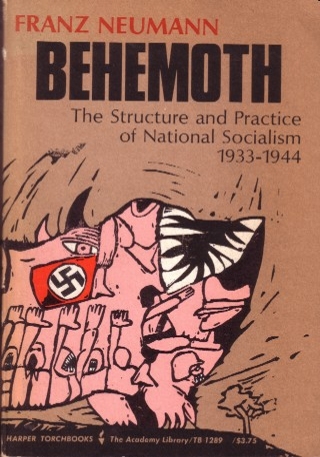 For instance, Franz Neumann’s large book, Behemoth, which is a Marxian analysis of the economics of National Socialist Germany, was one of the few works of economics that was ever written that came out of the Frankfurt School. Most of it was concerned with cultural critique and critical cultural theory involving very outlandish areas such as sociology of music, which was a particular area of Adorno’s concern. RS: Let me jump in here and mention a few things. It’s worth pointing out that the Marxist project had failed on its own terms by the 1930s in the sense that Gramsci – and I think that some of his writings weren’t really known until much later in the ’50s – was put in prison by Fascists. In Italy, the Fascists had won, and they had defeated a lot of the Marxist parties. They had some proletarian support, I’m sure, and things like this. The whole Marxian project and economic determinism of capitalism creating these contradictions that create some sort of apocalyptic scenario and the proletariat rises up, that really hadn’t happened. And also with Frankfurt School members, at least ostensibly they were highly critical of what the Soviet Union had become. The Soviet Union wasn’t really it. It wasn’t the utopia. It was maybe something they deemed a perversion. So, those were certainly important factors, and also it’s worth pointing out that if we’re talking about the Frankfurt School milieu of Adorno and Benjamin you had people that probably weren’t that interested in economics. Benjamin, some of his great writings are on 19th-century culture in one book, but aphoristic writings about life in the modern age, and certainly Adorno was sort of a classical music snob. He was very interested in Beethoven and something like that. Anyway, it’s a very interesting milieu that all of this came out of. But anyway, Jonathan, maybe you can talk about two things. Where was it going and what was really the essence of their cultural project? JB: I think the essence of their cultural project was to revolutionarily change the way in which Western culture was thought about and received. So, it was a grandstanding ambition, at any rate. It was to totally change the way in which Western culture was perceived by those who had created it and by those who were the receptors of its creation. I think this involved, basically, an attempt to go back to the theory that pre-existed the French Revolution, because the big book by Horkheimer and Adorno, Dialectic of Enlightenment, is really about the pre-revolutionary theories and is a critique of the Enlightenment from the Left, not the Right. But they begin by going back, as radical theorists always do, to first principles and criticize the Enlightenment. Their criticism of the Enlightenment is essentially that it is an attempt by scientific man or would-be scientific man to place himself at the heart of the universe to dominate nature and in so doing enact an enormous revenge. The great theory about Fascism in Dialectic of Enlightenment by Adorno and Horkheimer is that Fascism represents the revenge of a violated nature and is the revenge of a sociobiological current that would not exist if there weren’t attempts to entrap nature within the nexus of progress. So, already you’re getting a strange idea here. You’re getting a sort of anti-progressive Leftism. You’re getting Leftism which is critical of capitalism and modernity whereas classical Marxism is extraordinarily in favor of capitalism and modernity but just wished to succeed it with another state: socialism and late modernity. RS: Well, let’s talk a little bit about this because, as we were talking about off-air when we were first thinking about doing a podcast on this, the mainstream conservative movement, at least in America, is actually somewhat familiar with the Frankfurt School. At least, its intellectuals are and they think they know it as the source of the 1960s and political correctness and so on and so forth. 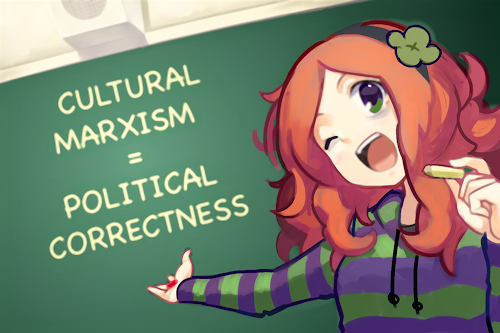 But I always feel that I don’t recognize Cultural Marxism in the way that it’s often depicted by movement ideologues. So, let’s talk a little about this, put a little pressure on the idea of Enlightenment and dialectic of enlightenment. One of the key scenes, if you will, in that book, which I guess is worth reading but it’s an extremely difficult text to read . . . Just as an aside, I met this German when I was in graduate school and he mentioned that he only read Adorno in English translation because even in the original German language it’s extremely dense. But anyway, Adorno and Horkheimer aren’t just seeing that Fascism is some reaction of capitalist forces against the Communist wave or something like that. They’re seeing Fascism as coming out of a bourgeois world, and they’re seeing something really wrong at the heart of bourgeois modernity, and I think they picture this in the form of Odysseus who wants to be bound at the mast and is going to renounce man’s more natural being and instead embrace a stern, hard modern man. There’s a world to be made, and we’ve got to go build it. So, maybe talk a little more about this concept of enlightenment on the part of Horkheimer and Adorno and how this led to a kind of New Left. One that might even have some conservative tendencies in the sense of the abuses against nature. JB: Yes, it’s an odd one actually, because it’s a sort of would-be foundational Leftism strongly influenced by Hegel, strongly influenced by the early Marx, strongly influenced by Plekhanov who taught Lenin a lot of his Marxism and was a Menshevik, technically, strongly influenced by Gramsci, whose texts would have been known to Marxian intellectuals at that time, and strongly influenced by the “culture of critique,” you could say. Instead of seeing the Enlightenment as progressive, they see the Enlightenment as an Endarkenment, as a period that’s propriety to bourgeois revolutions which may not be entirely progressive and were afflicted with terror. So, they have a differentiated appreciation of these things. They also have to find the enemy somewhere else, because if the enemy is not really as classical Marxism depicted it and its alleged revolution led to Leninism and Stalinism they have to find their enemy somewhere else, and the enemy for the New Left influenced by the Frankfurt School is alienation. Alienation from modernity, alienation from culture which is capitalist in its predicates, alienation from what they call the culture industry, whereby modern man is totally trapped within the cultural space created by the economy and where there is no room at all for, in conservative terms, folk-based authenticity. They would never use those sorts of terms, of course, and they would consider them to be reactionary, hubristic terms, but because there is a cultural pessimism, particularly about the cultural life of the masses under capitalist economics and even under socialist economics in the Eastern Bloc to a lesser extent, there is an opening out to vistas of cultural conservatism. This is the Frankfurt School’s inner secret. I remember professor Roger Scruton, the conservative intellectual, about 25 years ago now included conservative features of the Frankfurt School under one of the headings of cultural conservatism in his dictionary of political philosophy and this caused a little bit of a stir. But when you look at the fact that, although they sort of found Wagner rather loathsome in relation to what they regarded it as leading to, the classical sort of Schumann, Schubert, Mozart, Beethoven, Bruckner, sort of icons of Germanic, Middle European culture are exactly the icons that in particular they are the most in favor of. Just as classical Marxism is in favor of bourgeois politics and revolutionism over and against the mercantilism and semi-feudalism that preceded it as it looked to the socialism that it thought was going to replace it, they are in favor of radical bourgeois subjectivity epitomized by Beethoven, in their view, and his symphonies, which proclaims the sort of seniority of the bourgeois subject at a moment when the bourgeois subject feels itself to be empowered and all-conquering and the fleeting identification of the meta-subjectivity of the subject that Beethoven accords Napoleon Bonaparte, as he sees him to be an embodiment of the will of bourgeois man. All of these ideas are there in Adorno’s sociology of music, which is in some ways a sort of Marxian cultural appreciation of great Western icons which could be considered as slightly rueful and slightly conservative with a small “c.” It’s as if he arrives at certain tentative cultural conclusions which are themselves outside of the nature of the theory which he’s allegedly espousing. He’s certainly not alienated by these sorts of musicologists at all. The point, of course, is that they are the springboard for the modernist experiments of Schoenberg, Webern, and Berg, but that was a radical thing to say when they said it. That’s now regarded as an old hat statement in classical musical criticism. But that’s what they were with Mahler as an intermediary. Mahler between Bruckner and Schoenberg. That sort of thinking and a rejection of Sibelius, who was insulted quite severely by Adorno and the adoration of early to late Schoenberg as the future of music. This became the standard repertoire. The irony is it’s in culture that that theory had its most direct impact. Politically, they’ve had very little impact. It’s in the politics of culture that they’ve not conquered the board but they entered the fabric of what now exists at university level. RS: Yes, I agree. Even in the fact of criticizing Wagner, the fact that you treat him as this major figure that must be confronted is way reactionary and has conservative tendencies. I mean, I don’t see anyone in the contemporary conservative movement to have much interest in these Romantic titans at all in that sense. Let’s talk a little bit about the Frankfurt School’s journey to America. It’s quite an interesting one. 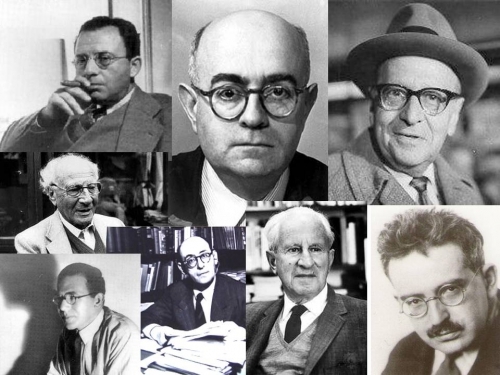 The Frankfurt School was almost entirely Jewish. I don’t know if there were actually any exceptions to that. There might be. JB: No, there aren’t. It’s unique in that sense. It’s almost stereotypical. Adorno was half Jewish, and a few of the others were this and that, but basically yes they were almost in toto. RS: Right. And not only were they Jews but they were Marxists, so needless to say they weren’t accepted in the Third Reich, although they weren’t really directly . . . I guess the Frankfurt School was shut down. I don’t think any of them were, at least personally, persecuted. I know Adorno was even traveling back to Germany on occasion at that time. But anyway, they did move and they went to America and there was actually a kind of exile community in which I believe Schoenberg and Thomas Mann and Theodor Adorno were all living together in a Los Angeles suburb or something like that. It’s quite interesting! But they also were received, ironically, by the elite. A lot of the Frankfurt School members actually worked for the OSS, which would eventually become the CIA during the Second World War, and they were also getting grants. I believe Adorno got a Rockefeller grant working at Columbia University. They definitely had a reception by the more elite American opinions. Was it the Rockefeller grant that actually sponsored The Authoritarian Personality? RS: Yeah. So, let’s talk a little about this, the next stage of their journey when they became Americans. JB: Yes, the American stage was interesting because in many ways it contradicts the pure theorizing that they were into, because, although they were given grants and cultural access by these people and seen as sort of honorific rebels against Fascism who had to be supported in the war of ideas, they had to change and water down their theory. They also had to adopt a lot more empirical studies, which was anathema to people like Adorno who hated empiricism. But, of course, empiricism is the Anglo-American way of looking at things. They had to adapt or die, basically. They had to adapt and they had to come up with theoretically-based nostrums that could lead to epidemiological testing and criminological types of testing and almost tick-box forms which ended in the slightly reductive program known as the pursuit of an authoritarian personality with this notorious F-Scale. F for Fascism. Many of these tests are regarded as slightly embarrassing now and are quite redundant and also not very much used, because although certain people do have more authoritarian casts of personality than others it’s not really a predicate for political positioning because there’s all sorts of hard social democratic positions and authoritarian far Left positions, for example. JB: Which go with more authoritarian character structure and don’t align into the F-Scale which these people would like to make out. However, they were very influential in the rebuilding of Germany after the Second World War, and this is where their theory enters into the mainstream in many ways, because one of their great points is, “What do you do in a democratic society with all the institutions of control, with all the valences of state and other forms of oppressiveness?” as they would see it: the military-industrial complex, the people who work in the security services, the people who work analyzing information on behalf of those services, the people who work in the large prisons and psychiatric environments that exist in all societies, particularly in Western societies? They always had the view that these people needed to be watched in a way and needed to be prevented from having some of the natural affinities that they would otherwise have if you let them outside of the remit of your theory. This idea that you almost watched the authoritarian gatekeepers in society for signs of “incorrectness” has entered into the mainstream. Very much so. RS: Yes, I agree that the conservative movement, the mainstream view of the Frankfurt School, that view is really one of Adorno and The Authoritarian Personality. That’s where their criticism really fits, but of course there’s so much more. But that’s certainly a way where you see critical theorists most directly attacking normal bourgeois people. If you have some, what we might call, healthy patriotic opinions that’s high up on the F-Scale. RS: So, I think in some ways The Authoritarian Personality is probably Adorno and the rest of them at their most cartoonish or something, and it’s not really the most interesting. JB: That’s right, and there’s a sort of theory by explicators of that school, like Martin Jay and others, that what they’re well known for, such as the F-Scale and so on which was really a concession to their friends and to the people that were giving them grants because what really interested them was this extraordinarily elaborate theory whereby everything in life, particularly in cultural life, was theorized in books like Negative Dialectics by Adorno and Aesthetic Theory, which was unfinished at his death and dedicated to Samuel Beckett, and his support for elements of the avant-garde in the counter-culture during the 1960s, which is a perverse Marxian support because it’s not based on the fact that it’s radical and that it’s coming from the age and that it’s countering that which exists formally, although there’s a little bit of that. The reason he supports these things is that he believes that the cultural industry is so monolithic, the culture of entertainment and the degradation of the masses is so absolute that only in these little fissures and these tiny, little spaces which are opened up by the critical avant-garde, who often deny easy understanding and deny mediation and deny the audience the collateral of a closure at the end of a piece so that people go away happy or satisfied and that sort of thing, what they are doing is opening a space for genuine culture to exist. That’s why he dedicated it to Beckett, you see. So, underneath a lot of this theorizing there is a pessimistic despair, a sort of morphology of despair, and that’s very unusual for a Leftist position. It’s usually associated with a Spenglerian, conservative cultural disdain and pessimism for the degradation of the masses under all forms of life and that wish the life of culture could extend and be deeper and be more transvaluated than it is. RS: Right. You know, this is all quite interesting and at the risk of pushing this Adorno as conservative idea too far, actually recently there was a book of his music criticism. I guess not too recent. It was a book of translations and probably published in 2004 or so. I remember reading it, and he had an interesting essay where he in some ways rethought Wagner and had many positive things to say about Wagner. Believe it or not, he actually had positive things to say about Houston Stewart Chamberlain in the sense that Houston Stewart Chamberlain was a racialist thinker, a god of the far Right, racialist Right, and he said that he saw that one of his reactions against the culture of England and his Romantic embrace of Germany was a kind of reaction against the tyranny of industrialization and that he imagined a more unalienated, authentic world in Germany and that almost these Right-wing strivings were that reaction against capitalism or something. So, again, there is a lot of complexity to all these people and they’re not easily pigeon-holed. I do want to talk about the 1960s, but before that let’s just put a little more pressure on the culture industry because I think that’s a very useful term for us. I think that’s a term we should be using and maybe even using it in a lot of the same ways that Adorno did. But maybe just talk a little bit more about that idea of the culture industry, what it is, and what Adorno was seeing in mid-20th century America. JB: Yes, he basically had the idea that the masses were totally degraded by a capitalist and market-driven culture whereby from advertising through to popular cinema to the popular television that was beginning and that would replace cinema and add to it and was an extension of it you have a totally seamless environment in which the masses live which today would be characterized by the popular internet, by the big TV channels, by MTV, by pop music videos, by pop music in all of its various forms. Don’t forget, Adorno was extraordinarily scathing about jazz, which is regarded as deeply unprogressive and his disgust and distaste for jazz is almost visceral. JB: Yes, almost. In contemporary terms and the terms of the New Left, there is this sort of despairing mid-20th century Viennese intellectual who despises the culture of the masses and that comes very close to an elitist position. It may be a Left-wing elitist position, but it’s an elitist position nonetheless, and once you admit elitism in any area, even if it’s only the cultural one, cultural selectivity, you begin to adopt ramifications elsewhere that are unstoppable. Although he could never be seen as a neo-conservative figure — these are people who believe that the family is a gun in the hands of the bourgeoisie and that criminality is directly proportionate to its punishment — in other words, you get more criminality because you punish people who are only victims anyway — so don’t forget, these are the sorts of conceits that the Frankfurt School believes in, but the very complexity of their analysis alienates them from populist Left-wing politics and alienates them from easy sloganeering, which is why they’ve been taken up by intellectuals and yet not by mainstream Leftist political movements because their work is just too difficult, it’s too abstruse, it’s too obsessed with fine art and high culture, particularly musical but also in the cinema. Going back to an analyst called Kracauer in the 1920s, the intellectual analysis of Weimar cinema and expressionist cinema at that was very important to them and they saw that time of cinema’s use of the unconscious, as people would begin to call it later in the century after Freud’s cultural influence, led them into slightly interesting and creative cultural vistas that are not simple and are not reducible to political slogans, but they do ultimately tend to a type of rather pessimistic ultra-Leftist postmodernism. RS: Yes. Well, let’s talk about the 1960s and the New Left and the hippies and the ’68 violent protests and so on and so forth. What do you think the connections are between the two of them? I know that supposedly — I wasn’t there, of course — in Berkeley in 1968, they were chanting, “Marx, Mao, Marcuse!” Herbert Marcuse was, of course, from the same milieu as Adorno. He was a Hegelian professor and had an upper bourgeois Jewish background. He remained in America. 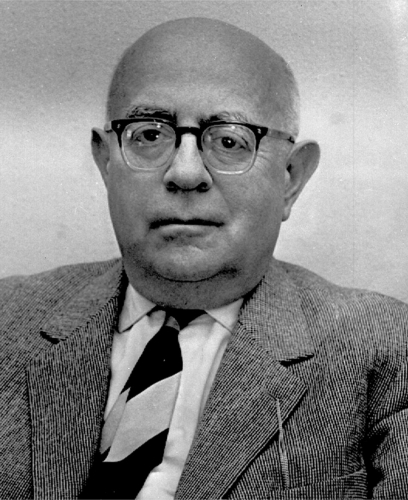 Adorno would return to Central Europe, but he remained, and he is writing books like Eros and Civilization that were a kind of Marxian-Freudian liberation philosophy kind of thing that the future was about polymorphous perversity. These kinds of things. And certainly very different from Adorno’s more kind of fastidious bourgeois nature. 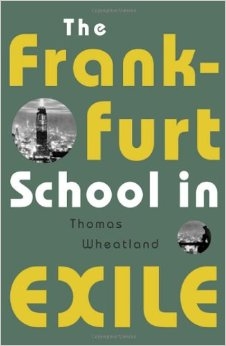 So, what are the connections between the youth movement of the 1960s and the Frankfurt School? Because in some ways it’s strange bedfellows. It’s different generations. The hippies and anti-war protestors probably couldn’t spell Hegel. A very wide gulf between the people like Adorno and these new kids. So, what are the connections? Do you think as the conservative movement would like to believe that the Frankfurt School were kind of the prophets of sick 1968 or is it a little more difficult? JB: They are and they aren’t. I think that what happened is intermediate theorists emerged who are not as complicated and whose work could be assimilated to political struggle and sloganeering. Marcuse is that example. Marcuse wrote several books, the most prominent of which is One-Dimensional Man and Eros and Civilization. One of which is a full-on Left-American attack on modern corporate America, where he anathematizes what will come to be known as the military-industrial complex and what was called the welfare-warfare state whereby welfare is paid in order to keep the masses bedded down and at the same time the perfect society is always engineered out of existence by endless wars in the Second and Third World which are always for the prospect of peace, but the peace never arrives, and there’s always just another war just around the corner, and, of course, the wars are to make profits for the military-industrial complex which is increasingly considered to be the most advanced capitalist part of America in which the political class is totally embedded. RS: Right. So, what you’re saying is that they were absolutely correct. JB: Of course, there are many similarities on the other side politically, because Harry Elmer Barnes edited a very large volume called Perpetual War for Perpetual Peace, which is very similar from a revisionist sort of school whether isolationist or American nationalist or American libertarian. The people who contributed to that book had a very similar analysis to the one that Marcuse would have of American foreign policy. Of course, this was occurring in the era of the Cold War when the threat was seen to be the Soviet Union and, to a lesser extent, Maoist China and by arguing for pacifism and isolation you’re arguing for Communist victory elsewhere in the world by the logic of power politics. That’s how Cold War warriors and anti-Communists would have responded to the Marcuse front. But Marcuse enabled Frankfurt School-related ideas to be politically assimilated by the growing forces of the student New Left, and that’s why they used him as the theorist of choice, because he’s exportable in student terms. He also put himself forward as a student leader, at least theoretically, something which the other Frankfurters were too fey and too theoretical and too abstract and abstruse ever to do. They never would have thought students would listen to their lectures even if they were talking Marxian analysis. Adorno, of course, died as a result of a student action in Germany in the late 1960s when the podium was stormed by some action front hippies or yippies who embraced Adorno — whether they had flowers in their hair, metaphorically, I’m not too sure — and they chanted that as an institution “Adorno is dead,” and Adorno collapsed and had a heart attack relatively soon afterwards and died. JB: This is taken as a sort metaphorization in a way that despite his sort of would-be leadership role of the theorist in relation to these people they were two different universes and the Frankfurt School intellectuals were deeply shocked actually that the West German popular press, particularly the center Right press, held them responsible morally for the emergence of terrorist organizations in West Germany, such as the Baader-Meinhof which later morphed into the Red Army Faction or RAF. It’s only, of course, come out retrospectively during the latter stages of the Cold War and after the wall came down that the Stasi when the traditional sources of power in East Germany were heavily behind the RAF gave them military expertise and explosives and told them which sites to attack and so on, so that they were as much an extension of the oldest parts of the old Left as they were of the newest parts of the New Left. Nevertheless, theorists are not always insightful about how the world will use their theory and the Frankfurt School is a classic example of ivory tower intellectuals who partly get a little bit broken up and mangled on the wheel of history. But Marcuse is an intermediate speaker who the student Left are able to make use of because they can understand what he’s saying. Adorno and Horkheimer and Löwenthal are too abstract, basically. They’re on their own as theorists. RS: Yeah. Jonathan, to bring the discussion to a close, what do you think is the legacy of these thinkers? In some ways, this is a very big question, because I’m also kind of asking what is the legacy of the New Left and all of this and what is political correctness today. What does it mean and how is it connected with these 20th-century Marxisms? JB: Yes, this is a difficult one because it’s so diffuse. Yet what I think has happened is they’ve changed the entire temperature which existed, particularly at the university level and amorphously the general media level that feeds out of that at the higher end. What’s happened is that once they lost the hard Left accretions of sympathy for the Soviet Union — witness a text like Marcuse’s Soviet Marxism, which although very short is extremely critical and he’d had been sent to a psychiatric unit or put in a camp for a text like that if he had produced that inside one of those societies, as Marcuse well knew. You’ve got this great sort of uniformity and diffuseness of the contemporary Left which has collapsed into liberalism, seamlessly taken parts of its agenda over, is no longer associated with apologetic statements about Stalinism, distances itself from all Left-wing atrocities and has critiques of those as well, is part of the seamless liberal-Leftist course that straddles the center and goes right out to the softer reaches of the far Left, bifurcated from the hard Left beyond it. 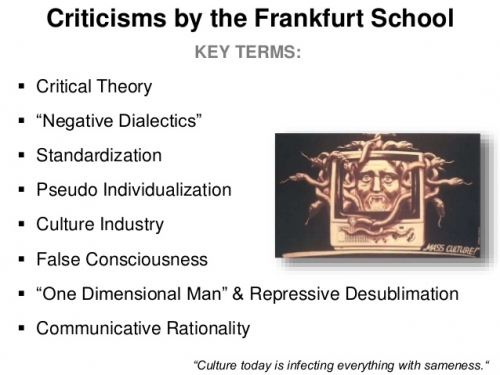 In all of these institutions, Frankfurt School views play a role. They play a role in defeating the culture of conservatism in all areas: racial and ethnic, criminological and social, areas such as police studies, PhDs written about the prison service, modern theories about cinema. 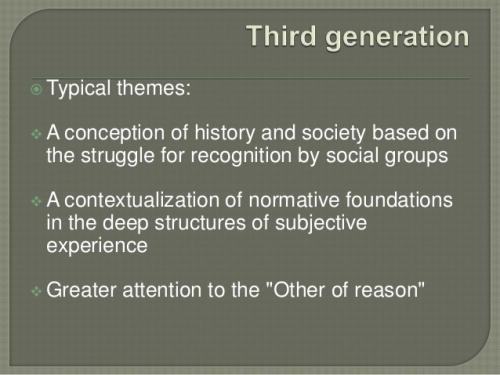 In all of these areas, in cultural studies is a discourse which has only emerged from art colleges in the last 20 years, which is heavily saturated with Frankfurt School-ish types of ideas. You see the deconstruction and the breaking down of the prior cultural conservatism. They are the intellectual tip of the liberal society which has stepped away from the conservative societies of the 1950s and 1960s. Up until the ’60s in the West, you had largely a stereotypical center Right to Rightish conservative society, polity, academy, media, and culture, and after that you have a step change to a liberal instead of a conservative society, media, culture, and cultural disseminating strata. This has continued throughout the decades since the 1960s. You’ve had about 50 years now. So, you have a situation where over this 50 year period throughout all of the institutions that matter soft Left theory, theory without hard edges and without endorsement of anti-humanist crimes committed by the ultra-Left all over the world, has become the default position for many people in the arts, in psychology, in medical practice, in psychiatric practice, in nearly all institutions of the state. With the exception of the military and the raw force-based criterion, the areas of state power that rely on the use of force, almost all other areas have been infected by these types of theory. Psychiatric institutions have been and, although it’s a bit of a stretch, the anti-psychiatric movement through R. D. Laing, through Fromm, and through Marcuse, is heavily influenced by at least a proportion of these sorts of ideas. In the theory of Lyotard and in the theory of Deleuze, is the bourgeois really insane? Are schizophrenics the sane who walk amongst us? Deleuze and Guattari’s text Anti-Oedipus in which the schizophrenic is seen as the last redoubt of sanity in a mad capitalist world, which is by any rational credence insane. Therefore, you have to look to the insane to find the redoubt of sanity. These sorts of ideas, post-Foucault in the late 20th century, are no longer that eccentric. They were once the most eccentric ideas you could have which conservatives essentially just laughed at. Now, they’ve taken over the institutions. But it’s been in a gradualist and would-be well-meaning and soft-minded sort of way, because this theory has taken over and cultural conservatives have retreated before it to such a degree that there’s hardly any of them left. RS: I agree. You know, I might disagree with you slightly. I think Cultural Marxism has infected the military in the United States. It’s kind of incredible, but yet we have a major Army general claiming that diversity is the great strength of America’s armed forces as they go overseas to bring women into undergraduate colleges. So, it’s been quite a triumph! One thing I would just mention, picking up on all these ideas you’ve put forward. I’ve always thought about this; there’s this staying power of let’s call it the postmodern New Left or Cultural Marxism. It’s had this long, decades-long staying power, and if you think about major avant-garde, modernist movements, they were a candle that burned really quickly. They almost burned themselves out. If you just look at — just to pick one at random — the Blue Rider group or something like that. This is something that lasted maybe 4 years. Dadaism would kind of make a splash and then dissipate and go off into other movements and things like this. If you look at the art galleries — conceptual art, postmodern art — they’ve been doing the same stuff for maybe 40 or 50 years now! If you look at women’s studies, African-American studies, critical race theory, all this kind of stuff, Foucault . . . I mean, it’s obviously changing, but it’s had this staying power that it’s almost become conservative, and I think this is a great irony. I don’t know where avant-garde art can go. I don’t know how many times you need to, proverbially speaking, put a crucifix in piss. It’s one attempt to shock the bourgeoisie after another to the point that it becomes old and stale and certainly institutionalized in the sense that many people will go to get masters in fine arts in all these institutions and learn from the great masters of conceptual shock. So, this is a very strange thing about our culture where we have this conservatism amongst postmodern Cultural Marxism. Do you think this is going to break down, or do you think, Jonathan, that because political correctness has become so obvious or because it’s become something easily ridiculed that it’s going to be overturned or at least come to an end? Do you see that or is that being a little too optimistic? JB: It might be a bit too optimistic in the short run. I think it’s become institutionalized in a way which those art movements you categorized earlier on have not been for several reasons. 1) It’s a non-fictional area. It’s an academic area, and academics have tenure in mind, and these art movements are sudden, instantaneous, bohemian, and largely outsider movements. They usually row intensely with the major figures who sort of break from each other over a finite period. Surrealism almost came to an end when Breton insisted that they all join the Communist Party in France, but many of them didn’t want to do that. They joined it for discussion and alcoholic treats and to meet women and that sort of thing and to have a chance to exhibit. That’s why most people join art movements. It’s also not particularly concerned with creation either. It’s concerned with reflexive creativity academically. So, somebody will go through the process of a first degree or second degree, they’ll get the PhD, which is influenced by one of these theoretical figures, and then they’ll become a tenured lecturer over time, and they provide a paradigm or a model for their students as they come up. So, the thing becomes replicating over a career path. What you’ve had is you’ve had a couple of generations who’ve now done this within the academy, and they’ve also worked for a situation where there’s very little kick against them because there’s very little Right-wing left in the academy. It’s almost totally gone now. It almost can’t survive the pressure valves that have been put on it to such a degree that it’s almost impossible for it to survive. This has meant the rather desert-like, arid terrain of the new left, small “n,” small “l,” really, now dominates the tertiary sector of education, which is why the Left is so strong. In a mass capitalist world where they feel that people are degraded by the cultural industry, nevertheless what you might call the PBS culture, the national endowments for the arts culture, is completely saturated with this sort of material, and there’s little way to shake it at the present time unless they’re radically disfunded or unless a way can be worked for forces of counter-culture to enter the university space again. Probably only on the internet is the space that they can now adopt and that, of course, is what’s happened for all of these ideas, such as this podcast we’re having today. They’ve gravitated towards the internet, because this is the only space left. RS: Well, Jonathan, we are the counter-culture. I think that’s one thing that’s been clear to me for some time. But thank you once again for being on the podcast. This was a brilliant discussion, and I look forward to another one next week.